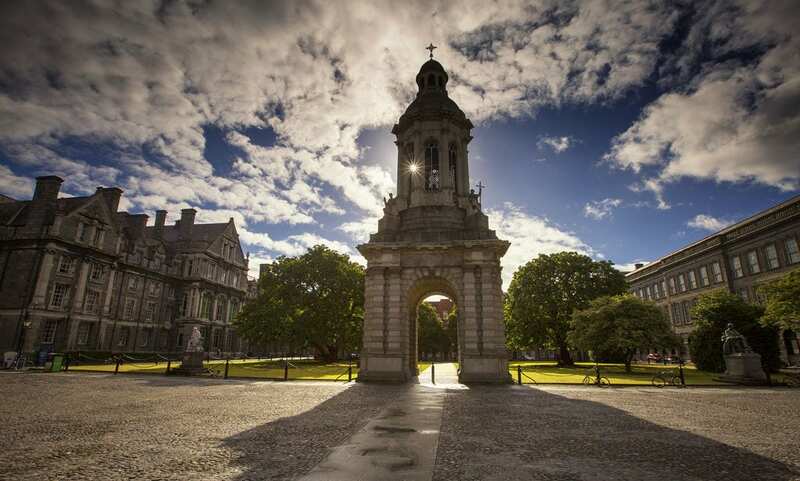 We can’t guarantee good weather when you come to Dublin, but something that we can guarantee is that no matter what colour the sky is you will be able to fill up your Instagram with awesome pictures! Dublin is such a charming city, with its different types of architecture, its city parks and impressively designed bridges. Looking for the perfect Instagram picture is also looking for the best places to visit, that is why we are giving you in this blog the most instagrammable places in Dublin, an opportunity for you feed but also a delight for your eyes! This immense park located in the north of Dublin is a heaven for instragrammers but also for those in need of a break from the noise and buzz of the city centre. The local heard of fallow deer are its most featured characters. It is indeed very easy to get close enough, as they are used to tourist but of course, make sure you don’t disturb them or feed them. This Dublin institution is famous for its history of providing Ireland with famous writers but also for it photographic potential. It is the stopping point to every visitor of Dublin and pictures of the entrance and of the library can often be seeing on Instagram. This coastal town is the perfect place for a day out and landscape pictures. You can treat yourself to fresh seafood and a coastal walk will give a breath-taking view of the port and Dublin Bay. This is the best place to catch the famous Poolbeg Chimneys with a sunrise backdrop. It is also a lovely place for a morning walk and to enjoy the fresh breeze coming from the Irish sea. Did you know it is part of Dublin Bay Biosphere Reserve? It is one of the finest sand dune systems in Ireland. Named after Dublin born famous writer, the Samuel Beckett Bridge is an impressive contemporary bridge crossing the Liffey River. Designed by the renowned Santiago Calatrava its architecture is referring to a harp, symbol of Ireland. 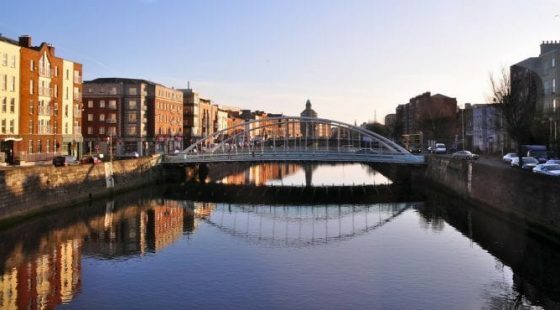 This pedestrian bridge was built in 1816 and is a famous figure of Dublin. Its name come from the halfpenny toll levied on all users of the bridge up to 1919. This is an icon of Dublin urban landscape and no visitor returns home without a picture of its charming steal structure. St. Stephen’s Green is an oasis of calm in the city centre. The park features beautiful flower beds, art sculptures and a water pond. A wonderful place to escape the hustle and bustle of the busy shopping district (Grafton Street and Stephens Green shopping centre) which are literally steps away from the gates of this beautiful park. St. Stephen’s Green Park is a big favourite of guests at The Green Hotel, which is very nearby. This place is home to the world biggest tech company and offers an amazing futuristic landscape. The Georgian Dublin is a beautiful quarter of Dublin where our hotel, The Alex is. One of its uniqueness is its coloured doors, the only way for owners to differentiate their house from their neighbour! These doors are very popular and have their very own hashtag and the Instagram account called @thedoorsofdublin. 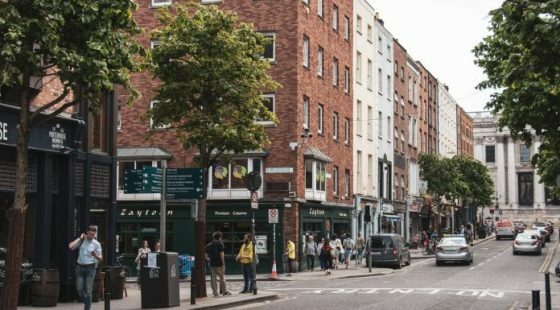 Now that you know where to find the most instagrammable places in Dublin make sure your battery is full, get out there and start Instagramming! Don’t forget to add #thealexdublin to your pictures for a chance to be featured.